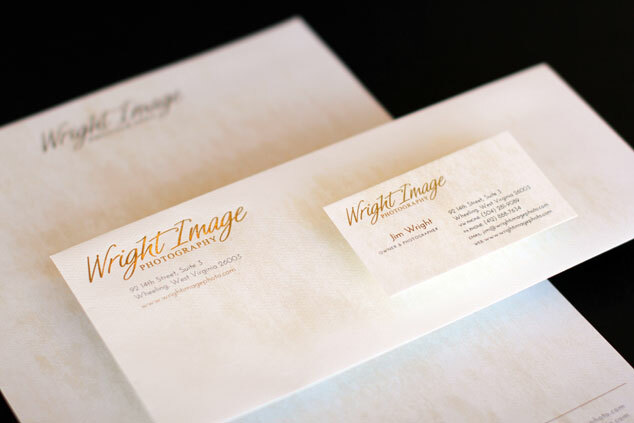 We recently wrapped up a complete visual branding package for Wright Image Photography, a Pittsburgh area family and wedding photography studio. 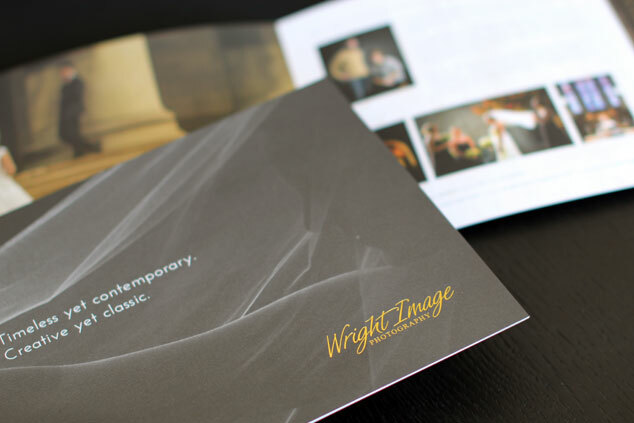 We actually started with their logo and website last year and just completed the letterhead system, packaging and wedding brochure. 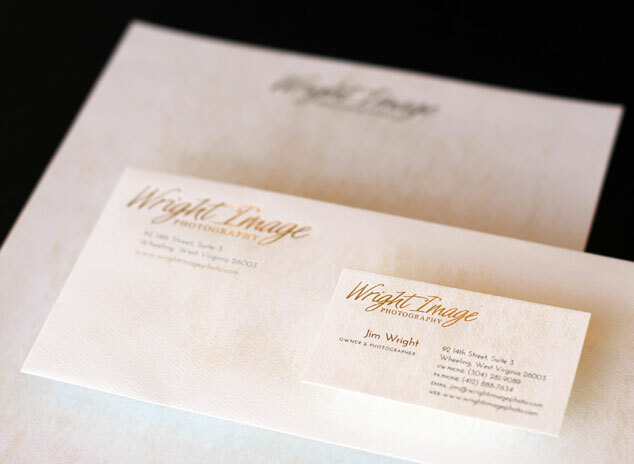 The new pieces will utilize specialty printing with the logo being gold foil stamped on the letterhead, paper bags and wedding brochure. Sticking with the white and gold color theme, we selected a crystal flash drive with a gold cap from photoflashdrive.com and we found brass metal business cards at mymetalbusinesscard.com (that look gold). These will we be used for the labels on their large prints and canvases – which will be wrapped in white craft paper and a white ribbon. As mentioned before, the bag will have a gold foil stamped logo, and patterned or solid metallic gold tissue paper will top it off. Due to the custom search engine optimized WordPress website we created for them last year, they have more than doubled their weddings for next (all without any additional marketing). This bump in income has allowed them to reinvest in the company and they are now working on creating a solid marketing plan for next year. We are also currently converting their existing website to be responsive to improve traffic, lower the bounce rate and provide a better overall user experience. It is always a pleasure to work with clients that understand and value the power of good design and cohesive visual branding. If you are one of those people, give us a call today, we would love to help take your business to the next level. 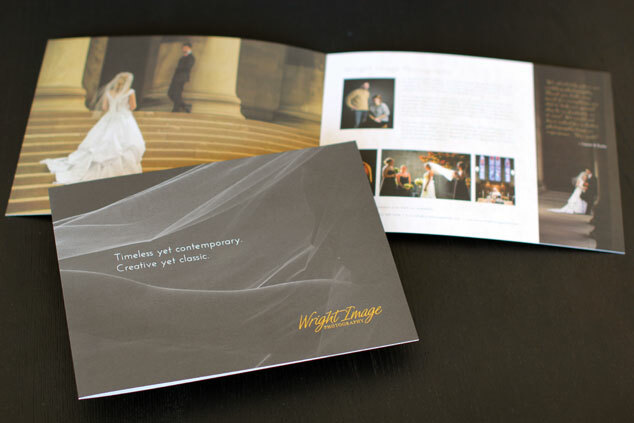 Update: Printed samples of the new brochure and identity design package just came in. They printed beautifully!